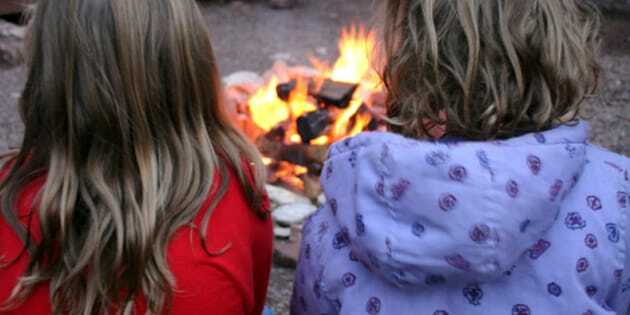 A summer camp north of Toronto has been accused of having children play games involving inappropriate acts in order to get treats, the Toronto Star reports. Counsellors at Camp Chimo in Markham, Ont., a city-run day camp for children aged six to 14, allowed a game to play out in which campers sucked a male counsellor's toe, licked bathroom walls and another camper's armpit in order to get ice cream, according to The Star. "aims to provide the most incredible camp experience that the Town of Markham has to offer. We strive to keep the grounds of Chimo an extraordinary place for the birth of new friendships and memories, and also strive to create an environment where teamwork, leadership and motivation flourish." Parents began to get suspicious about the camp when their girls weren't forthcoming about their daily activities. According to a parent interviewed by The Star, the kids also engaged in "body shots" with spit and pole dancing in their underwear. But Camp Chimo isn't the only summertime location having trouble with kids' games gone wild. In 2009 in Quebec, another camp came under fire for a "Truth or Dare" game that spun out of control. Camp Galarneau in Fort-Coulonge was the target of allegations about campers being put in canoes naked, drinking each other's saliva and licking toilet bowls. Other summer camps have been contending with reports of abuse. Outside of Boston, 75-year-old Camp Good News, a Christian camp that has been running since 1935, was forced into closure this summer due to allegations of child abuse by a former staff member. Have you or your child experienced out-of-hand games at summer camp? Tell us in the comments below.